In the May 2018 issue of Bee Culture, Jessica Louque talks about beekeepers’ need to be educated about pesticides and how we would have to deal with much worse if we had to go back to those old, much worse pesticides. When I started keeping bees, several decades ago, a three pound package could be purchased for five dollars. I lived through those days of much worse pesticides. 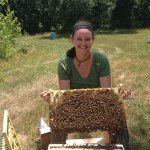 When neonics came on the market is when my beekeeping started to go to hell. The difference between then and now is the chem-seed corporations control the seed supply. Those worse pesticides were only used when it was necessary and then applied with the honey bees in mind. They were not a continuous threat as systemic neonics are now. As for farmers loving neonics, in almost all cases, they don’t have a choice, since Bayer-Monsanto and Syngenta control the seed supply, and it’s take it or leave it as far as neonics go. It used to be that we trusted the USDA and our universities to do the research. We can no longer do so because of multi-million dollar donations by chem-seed corporations to the universities. Jessica Louque talks about research that supports her position. When she talks about “our” research, what research is she talking about? We always need to find out who funded the research. Is she talking about chem-seed corporation research? In research done for the USDA, Jonathon Lundgren and others found that, in the north central region of the U.S., there was no practical reason to use neonic seed treatment on soybeans, yield wise or money wise. The seed treatment was not effective against aphids which feed on soybeans, but the seed treatment did kill the Asian beetles which feed on the aphids. USDA research has shown that honey bees do work soybeans and can increase soybean yields. The pesticide research was done at the SD State University office of the USDA. Jonathon Lundgren was harassed until he quit the USDA. At the time, the president of SD State University was on the Board of Monsanto. This is conflict of interest. People of the U.S. have been taken in by a huge scam conducted by the chem-seed corporations. They have done this by buying off influential people and this includes our politicians and our universities. They have circumvented our environmental laws that were put in place to protect us. The U.S. Geological Survey has found that all of IA’s surface water is contaminated with neonics, and neonics are even being found in ground water. The danger is that it is working its way into our aquifers. Neonics are in our drinking water and this water is what we use to make up sugar syrup to feed our bees. USDA research has shown that neonics knock out the resistance that honey bees have for viruses spread by Varroa mites. No research ever done has shown neonics to be harmless to humans and the same goes for glyphosate (Round-up). Both are neuro toxins. Both are in our food and our water. Big Ag farmers could get along without neonics. It would take a significant mind shift for farmers to stop using the carcinogen glyphosate (Round-up). When the previous farm bill was passed, there was big talk about saving family farms. There were attempts to put a cap on government payments to farmers. Even though amendments to do so passed both houses of Congress, they did not become law – thanks to Big Ag corporations. Family farmers went out of business. The Ground Hogs out bid them, bidding up the rent and buying the land. These Big Ag farmers spray after planting to control weeds. Then they cry about low crop prices and want the taxpayers to bail them out. While this is going on beekeepers are trying to keep their honey bees alive with ever increasing costs and less forage available. Where I live in IA, the countryside was, a few short decades ago, filled with family farmers, five or six to the square mile. Not so anymore. Farmsteads with buildings, homes and windbreaks have been burned and bulldozed so the land can be farmed Big Ag style. The rumor is that farmers are feeding the world. The truth is they are feeding the multi-national chem-seed corporations and equipment manufacturers. Page 10 of the July 2018 Iowa Honey Producers Association newsletter has a reprint of an article that can be found at this link www.theguardian.com/environment/2018/apr/27/eu-agrees-total-ban-on-bee-harming-pesticides. The scientists in the European Union acknowledge the link to pesticide use and declining bee health. These pesticides harm human health too. The research has been done that shows this, but the big Ag chemical companies totally disregard this data. They are only concerned with their profits, and not the welfare of the people or the environment. Originally this month’s column was going to be a discussion on Tier II tunnel studies and how they are managed. However, after a lot of response on an earlier piece where I wrote about pesticide testing, I thought it was a better idea to go over some of those responses. I do appreciate the positive responses that were sent in, but they weren’t all positive. Mr. Ivan Rickers submitted one of the longer responses and is also published in this edition. There seemed to be some amount of either skepticism or confusion over some of the points I made, and I will be using Mr. Ricker’s response as the basis to go a bit more in depth to cover some of the more consistent criticisms. Let me start here by his accusation that I’d have you believe that I’m a beekeeper. That was pretty specifically just in his, but I can say with a lot of confidence that I highly doubt there are many people in the United States that have more experience than I do with beekeeping and spending time inside a colony. I can only think of one person that might have worked in colonies more than me and she is from Germany. I’m not sure which part disqualified me from being a beekeeper – if it was the beekeeping for research, doing honey bee research and not pretending that all pesticides kill bees, or only hobby beekeeping on the side instead of doing it as our main source of income. If anyone else is skeptical of this or is curious about how we do our Colony Condition Assessments, feel free to harass Kim and I’m sure we could schedule something at a meeting sometime (in the off season, of course). I would have offered to do something at the Summer meeting this year but there’s just no time between having our first field season in our own company, building a new house and trying to move, putting the kids in a new school district, and getting Henry moved into college and making it to most (if not all) of his soccer games is already well over my threshold. One of the bigger complaints was that some readers felt that I was biased in my opinions towards the ag-chem companies or giving you “propaganda.” The reason I wrote that article was to try to give everyone a look into the science world that makes these decisions on the larger scale. We’re a pretty small community because the studies are incredibly difficult and intense, to say the least. A lot of people can’t do it, or won’t do it, or just don’t know they can’t do it. Most of the dissention towards the article seemed to be of the mind that if I didn’t agree with their idea, then I must be wrong. Another researcher has pointed out to me various times in the past that people who disagree with your ideas are the ones you should listen to the most, rather than the ones that agree with you. If they have a compelling argument, you may want to start changing your own opinions because they might be wrong. I don’t consider my column to be “opinion” because it is the truth rather than an assumption. To clarify on a few points here, when I say “our research” I generally mean research that I personally have overseen or worked with the Study Director to complete. I’m not sure if my random pontification on birds and homesteading threw some people off on how I became a writer for this magazine in the first place, or if some people just haven’t been reading as long. My dentist, who is a beekeeper, had Bee Culture in his waiting room and never knew I wrote a column because he’d never read it. 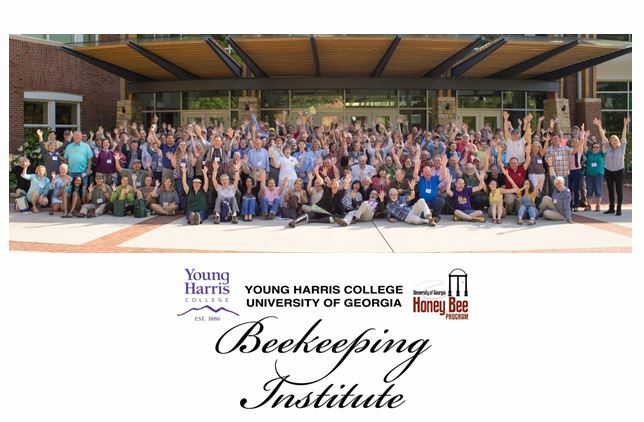 In the meantime, it was overlooked or not explained well that my career was directing honey bee studies for pesticide registration in the U.S., Canada, and occasionally Europe. In the past I have worked for companies like Eurofins and Smithers Viscient, which was not a secret and I didn’t think it came across as such. We started our own company because we wanted to have more control over the work that we did, but I stand by the work that I’ve done at both of those companies. I’m also not sure why there would be suspicion about my membership to NAICC, as it’s pretty well known that our work is specifically for pesticide registration. Perhaps a better explanation as to the severity of falsifying data might explain this particular issue a little better (besides the letter written in by Randy Fuller, who is one of the first auditors in a line of multiple people who inspect our studies). To be completely honest, it would be better for business to be anti-pesticide. That’s what gets us work. I can’t tell you how many times we’ve had to do a couple hundred thousand dollars’ worth of testing on a product that really didn’t have any major effects on bees just because some activist-minded groups complained about it in an effort to either get publicity, public outrage to further an agenda, or just as an overall lack of science comprehension. It really does not serve any beneficial purpose for me to try to educate naysayers or to dissuade complainers because they are literally fueling my industry for pesticide testing. However, it goes against my ability to keep my mouth shut to not try to explain how we do work and why we do it. 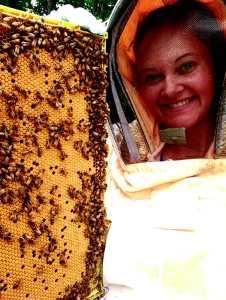 I don’t really consider myself an ag-chem proponent or a beekeeper proponent from a business perspective. Pesticides can be extremely useful and safe if they are used properly. Most major instances of colony mortality resulted in gross negligence on behalf of the applicator, either through a complete disregard of the label or a misunderstanding of the application process. Part of our work is testing different application methods of a pesticide to determine if spraying at a specific time of day or a different application (foliar vs. soil drench) may have a lesser impact. The label is there for a reason, and it is not just a suggestion. We help create that label to make it safe and using it in a different way practically guarantees that something bad is going to happen. Let’s pretend that we had a pesticide that was incredibly toxic at the expected label rate no matter how we applied it. If we altered the data we produce to make it appear that the pesticide was safer than it really is, Bobby and I could be in court right along with the owner of that pesticide when they get sued since we gave them the data that was used to create the label. Besides this, we could be fined by the EPA, have our facility shut down, go to prison, or lose our reputation and client base. No thank you to all of these. I don’t like anyone enough to go to prison for you, and I like to buy shoes too much to lose my main source of income. My goal is always to produce the best quality data possible. I really don’t care if it shows that a pesticide can murder entire colonies upon exposure or can only kill bees if they fall into it and drown, as long as my study was good and the data is reproducible. On top of this is my undying wish to never be wrong. It does occasionally happen (or so Bobby tells me) but my life’s goal is to not be wrong. It may be interpreted from this statement that I am stubborn and would have a refusal to change my opinion on various topics. While I am ridiculously stubborn (sometimes to a fault), I don’t mind being corrected if the correction is explained because it keeps me from being wrong in the future. For the topic of neonics, as well as the basis of some arguments, let me start off by saying if we as a beekeeping nation could sue Varroa, we would likely have enough money in varroacide research to have that problem better under control. You don’t get books and publicity and a soapbox when you complain about Varroa, but there is nothing under the sun that is as detrimental to colonies as Varroa mites. There have been numerous articles published on Varroa, but it sounds like it might be time for a “history of Varroa” to be out and about in the future. The downfall of current beekeeping came about with the onset of Varroa mites and the ridiculous expense and monitoring associated with it. Varroa can carry more diseases than I think we have been able to solidly prove at this point, cause stunted growth in larvae, and make it difficult for bees to be able to fight off other “invaders” like chemical exposure, Nosema, or other pests and diseases. The benefits of neonics is something I cover more in a presentation mode, and it’s not something I think is necessary here because any data I share with you would come either from the companies who own those chemicals, or from farmers who buy them. Even if I showed the data that gives the differences in crop yield and cost with and without application of this chemical class, people who already don’t believe they are useful will not have their minds changed. In the meantime, banning neonics just makes more money for these ag-chem companies because the older chemicals replace them in the field. These older chemicals are more expensive, harder to produce, and incredibly more toxic to humans. On the last topic for the time being, I guess it is a discussion of what my goal is by discussing the research side. I don’t think I ever said I had anyone’s “best interests at heart” whether beekeeper or otherwise. As I said before, it’s probably better for business if beekeepers keep complaining. I do think it’s in my best interest to try to educate people because every time I hear people saying things that fall into the “conspiracy theory” category or making statements that either aren’t scientifically based or are parroted versions of someone else’s opinion, it makes me want to slam my head into a wall. I definitely don’t think all pesticides are safe for bees. In fact, saying something that kills insects is safe for other insects is generally a stupid assumption, unless you know enough about that class of pesticides to understand that it only targets specific insects (like caterpillars, or beetles, or flies, etc.). That’s the part where education comes in. I know which fields are going to be sprayed with something that’s going to make me move my bees before an application, and which ones are fine to leave for the Summer. That’s the part that’s beneficial for beekeepers to understand, and that’s what I hope everyone can get out of this. There are literally millions of dollars being spent to figure out how to make pesticides as safe as they can be, but what the consumer does with them is out of the hands of the maker. If anybody has some specific questions about my industry, please feel free to send them in. If I get enough I’ll do a Q&A edition in an upcoming column. I realize that I make my living in an industry that is often maligned and misunderstood by the general public, media, and even the people we serve. I have worked in commercial research for 30 years, starting in pharmaceutical-regulated research, and transitioning into agrochemical research in 1989 – when the Environmental Protection Agency (EPA) issued their first set of regulatory criteria directly pertaining to agrochemical research, with the revision of the Federal Insecticide, Fungicide and Rodenticide Act (FIFRA), otherwise known in our circle as the Good Laboratory Practice Standards (GLPs). I am also a long time member of the National Alliance of Independent Crop Consultants, (NAICC), and I was troubled by a recent letter to the editor from Ivan Rickers regarding our industry and this national organization. While Mr. Rickers is entitled to his opinions, being a GLP/quality assurance consultant in this field, I am only concerned with the truth and would like to address some of Mr. Rickers’ comments regarding “Big Ag”, commercial research, and the NAICC organization. I am proud of the work the agricultural industry does. I stand behind this research. Often times the work that is conducted is proprietary in nature and therefore is not made public until the results are submitted to the EPA for registration purposes. This can lead to misunderstandings by those not directly engaged in the research that we conduct. Since its inception in December of 1970, the focus of the EPA was protection of our natural resources. Since the early days of the twentieth century, America has been in the forefront of production and protection of crops for the world. Without any regulation, crop protectants were applied whenever there was a pest pressure on a crop. But it is Federal Regulation that drives the research we conduct today, not the fancy of big industry. The US government began this process in 1910 with the issuance of the Federal Insecticide Act, which was aimed at protecting farmers from being sold ineffective pesticides. This was further enhanced in 1947 when FIFRA was enacted and the US Department of Agriculture (USDA) was given oversight of this law which addressed manufacturing and labelling of pesticides. The EPA, at its inception, took over control of this regulation and oversight. Then regulations like the clean water and air acts, TSCA, RCRA and FQPA – to name a few – were passed and became significant factors that impact pesticide use in the US. Manufacturers of pesticides are constantly reacting to federal mandates and consumer whims in order to provide chemicals that are efficacious, environmentally friendly, and safe for human consumption. GLPs, specifically, are the regulations we follow for all agchem research today. Being a QA Officer, my role is to, independent of the study conduct; evaluate the research being performed by any contract research organization (CRO) whether it be in the field or the laboratory. 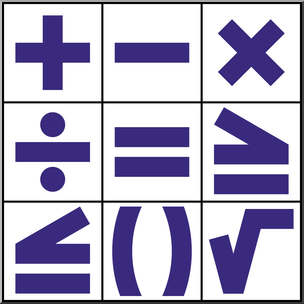 I do not care what the outcome is for any study as long as the work is accurate and complete. I assure that the study is conducted in compliance with all federal regulations, follows the GLP-required study protocol and CRO standard operating procedures. My inspections are documented, provided to the research management, and are reported to the EPA. “Big Ag” is required to follow all of the same rules and no one company has an advantage over another when conducting field research. When a molecule is developed that has pesticide properties, it must go through a significant battery of testing in the lab before it is even experimented with in the field. The mechanics of the molecule are determined; the toxicity to non-target organisms is determined; the environmental fate (conducted in controlled laboratory settings) is conducted. All of these tests are conducted and submitted to EPA. The final tests are those where the product is applied in field setting, under controlled and restricted conditions, to evaluate the performance under expected use conditions. Rates, handling precautions, and restrictions are all determined in these studies. Bad news is reported – the QA officer assures of that. It takes years of testing of any product before it is allowed to be used in the US, Canada, the EU, etc . . .
Pesticide research is a complicated process that has many safeguards in place to assure that the results are legitimate and that all data are reported, not only the numbers that look “good.” The Quality Assurance Unit (QAU) is one of these safeguards. Research conducted in the U.S., or across the world, that is going to support the registration of any product cannot be conducted without QAU oversight. Studies usually are not even considered for review if they are non-compliant with GLPs. Within my niche in this business is a cadre of trained professionals that have been in the field or lab and know the laws and science inside and out. We all take our roles seriously, and whether the QAU is a consultant, or an in-house employee at a CRO, or even pesticide manufacturer, we all review studies in the same light. The rules apply equally to all research. Studies simply do not slip by the QAU without significant review and confirmation. The QAU professional not only knows the regulatory requirements, but the science as well, and we all pride ourselves on our professional and personal integrity. And we are small part of the this industry, but our reputations are known and our membership is a professional organization, like NAICC or SQA, is a source of comradery and pride. The NAICC is the organization that addresses the needs of this industry. At our annual meetings, all facets of the industry meet for training, marketing, and recognition. From the QAU professionals, to CRO owners and scientists, to pesticide manufacturers, to equipment manufacturers all come together to share ideas and work towards better industry. There are no nefarious plans being made on how to make more money or use more products on the crops. We are all concerned with safety. We all are working together to make sure our crops and protected from pests and disease, we investigate better methods of application, and we train the next generation of research professionals. Currently I am an independent consultant working for the pesticide manufacturers, CROs, and analytical facilities that conduct this research. I do my job because I care, and I get hired because of my reputation as a fair and thorough inspector. As I said, I am not trying to tip the balance in one direction or another – I am only concerned that the truth is unveiled. I have never come across a situation where I was made to compromise my values or my interpretations of the results. I stand behind every single audit I’ve ever conducted, and I have worked in conjunction with the federal inspectors at the EPA to assure compliance on all phases of research. So to set the record straight with one example Mr. Rickers cited: glyphosate. In his letter he referred to glyphosate as a “carcinogen” and that “no research ever done” has shown it is harmless to humans; while this is an attention grabbing statement, unfortunately, it is inaccurate. Glyphosate has been in use since 1974. In a 1994 report from Cornell University, which collated all of the research for that 20 year span, concluded that glyphosate had no acute or chronic toxicity effect in mammals (rats oral tox LD50 was 5600mg/kg, goat was +10,000mg/kg, 500m/kg/day in dogs showed no chronic effects – an average human would have to consume more than 12 ounces of technical grade material for an LD50 dose!) Aside from being an eye irritant, glyphosate showed no reproductive health or teratogenic effects. While slightly toxic to birds in high does, it is non-toxic to fish and honey bees. A comprehensive review of data conducted for the European Union and published in 2017 found no significant evidence of carcinogenic properties as well. And glyphosate is not a neurotoxin. There is insufficient evidence to rule this molecule carcinogenic, primarily because the molecule is poorly absorbed and is excreted without being metabolized. Glyphosate is one of those rare materials that comes along and changes the world, for the better. I agree debate is a positive aspect of our business. And sometimes people will skew the truth to get the attention of the reader; however, these speculative (at best) accusations against my industry are uncalled for. I fail to see how claiming big agchem is a detriment to the environment, family farming, and commercial research. Let’s debate the issues with logic and fact. Together we can all make this a better industry. 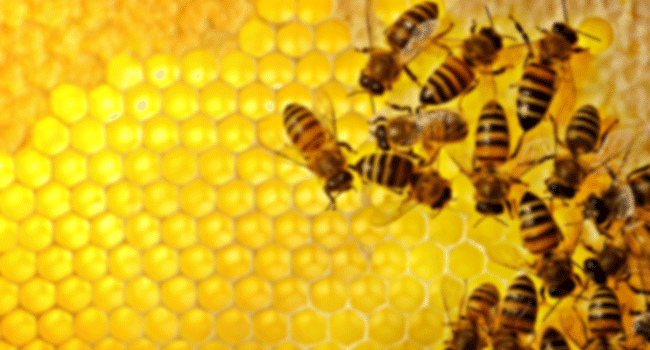 CATCH THE BUZZ – Scientists Discover Bees Can Solve Basic Mathematical Problems.